Remaining an amateur throughout his entire career, Bob Jones had a very busy schedule as an attorney and championship golfer. 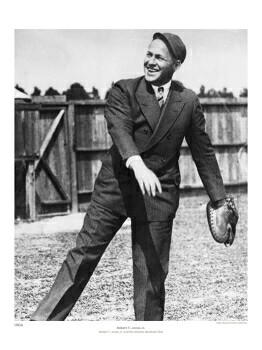 However, he still had time to serve as vice president of the Atlanta Baseball Club. In March 1930, the year he would win the Grand Slam, Jones visited the team's training camp in Douglas, Ga. Jones even took the opportunity to practice with the team.